Originally hailing from Colombia, Alvaro Cardenas Jr has made his home in Shanhai China since 2003. Alvaro began his musical career and saxophone studies at fourteen alongside his father Alvaro Cardenas Roman, a musician and composer. As a child, Alvaro liked The Glenn Miller Big Band, Sonora Matancera of Cuba, Pacho Galan Orchestra, and Lucho Bermudez of Colombia, amongst others. At sixteen, he began to play with various groups performing salsa music and music of northern Colombia. He also began to explore jazz concepts and the instrumental music of musicians such as Stan Getz, Coleman Hawkins, Don Byas, John Coltrane, Charlie Parker, Dexter Gordon, Sonny Rollins, Grover Washington Jr, Justo Almario, Paquito D’Rivera,Michael Brecker and Bob Mintzer. These masters gave Alvaro many avenues of research, exploration and inspiration. Alvaro has traveled around the world with his music. Early in his career he toured touredin Madrid and other parts of Europe for 3 years with his own salsa Music band called ‘Equiano’. At the end of that tour, ‘Equiano’ was invited for the inauguration of a famous cruise in Panama. On that cruise, Equiano shared the stage with renowned jazz and Latin jazz pianist Danilo Perez. Alvaro and his group were invited to tour throughout southeast Asia. In the summer of 2001, Alvaro received a call for a Latin Jazz trio in the beautiful city of Shanghai. He spent ten months playing at the JCMandarin and Shangri-laHotels and got to know the jazz scene in Shanghai. In 2003, Alvaro and his family finally settled down in Shanghai and the city has been his home ever since. In autumn of 1998, Alvaro recorded his first Latin jazz solo album ‘Valentina’ which received much critical acclaim. In mid2004, Alvaro launched his second album ‘On The Road’, which documents his experiences traveling through Asia and his nostalgia for his homeland Colombia. His other recordings as leader include ‘Shanghai Scene’ (2010), ‘Close your Eyes and Listen’ (2015) and ‘Sooner than Later’(2016). Alvaro has participated in several concerts and jazz festivals including Jazz Bajo La Luna Festival and Barranquijazz, the most important jazz festival in Colombia and one of the best in the world. In Shanghai, Alvaro has been involved in several jazz big bands , including the Jazz Orchestra directed by German master Rolf Becker and the current JZ Club All Stars Big Band. He has also been involved with the Jazz Orchestra of the Shanghai Symphony as well as the group Latinoide (Brazilian, jazz and salsa). Since 2006, Alvaro has been the director of the Shanghai Latin Project, which is considered one of the most famous salsa and Latin jazz groups in Asia. Alvaro is also the producer and director of the famous Colombo-China orchestra Mandarina China Band (Salsa in Chinese) which mixes salsa with Chinese singers and instruments and modern twist and dance. Mandarina China Band has been well received by audiences since its formation and has toured China and Colombia. The band released its debut album ‘Escucha El Mar’ and in the summer of 2006, the band played at Barranquijazz and the Heredia Theater in Cartagena. Its second album ‘Refrescando LaSalsa’ was released in 2008. Alvaro collaborates regularly with his brother Alberto Cardenas, an equally talented and experienced Latino pianist. Together working as producers they have had the opportunity to influence and contribute to not only the Mandarina China Band, but other Latino music groups in Colombia and Asia. In early 2008, Alvaro was invited to be the Musical Director for the Shanghai Jazz Big Band. He participated in two concerts as Musical Director, leading 12 musicians in a Chinese New Year concert and a special concert for the Shanghai Expo 2010 . 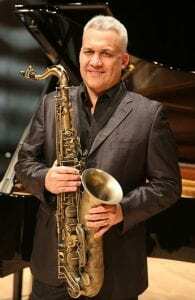 In addition to his busy performing schedule, Alvaro has been dedicated to teaching saxophone in Shanghai and has been carefully preparing a method for improving the technique and interpretation of that fabulous instrument. He also leads the Ensemble of Latin & Latin Jazz for the Shanghai JZ Jazz music school and also teaches at the Shanghai United Internacional School(SUIS) Gubai Camp, Shanghai community international school and the Dynamix Performing Arts Academy.